WELCOME to the website for a multi-stranded project about St Michael's Way: a 12.5 mile walking route which crosses West Cornwall: from Lelant on the North Coast to Marazion and St. Michael's Mount on the South Coast. The path was established in 1994 based on research into old shipping records, which, along with other historical and archaeological evidence, strongly suggest that many pilgrims & traders chose an overland route to avoid sailing round the treacherous waters at Land's End. It is a tangible reminder of Cornwall's longstanding connections with wider Europe, and beyond. 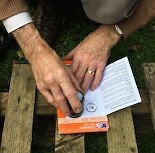 In 2015 a number of interested folk with diverse backgrounds came together and formed Friends of St Michael's Way: a constituted group, whose broad aims include ensuring the footpath is maintained, promoting the route regionally and beyond, while researching & considering its cultural, spiritual, economic and geo-political significance - past, present and future, through various lenses. launched in April 2016 with a contemporary art exhibition in London at 12 Star Gallery, Europe House, Westminster. September 2017 .... time for more walking.. or maybe "Stepping on St MIchael's Way"? • Friend's of St MW are keen to hear from folks interested in being involved ongoing efforts to promote and conserve the path. Please email mail@stmichaelsway.net for more information. 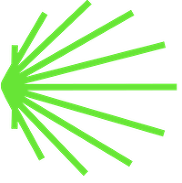 • Another way to support Friend's of St Michale's Way is to donate cash. You can download a payment instruction form here. 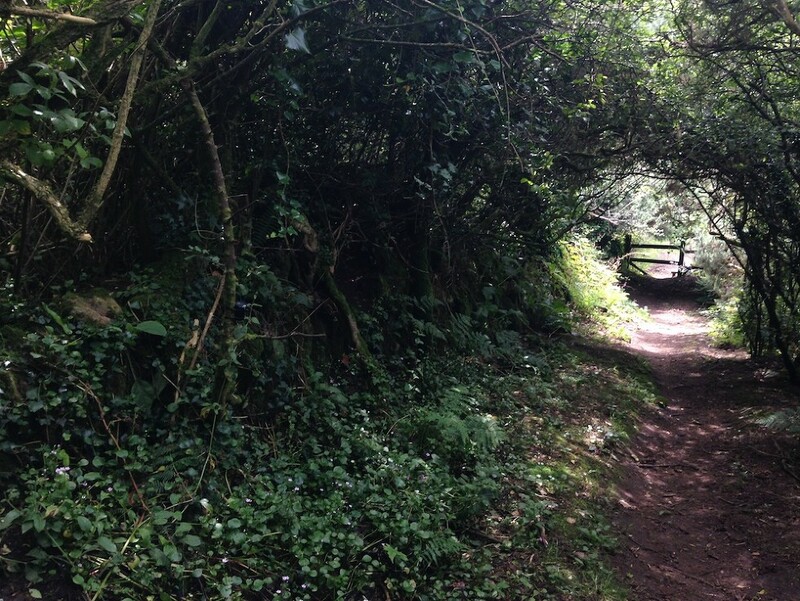 to share information & documentation generated from her research into the St Michael's Way footpath since 2013. 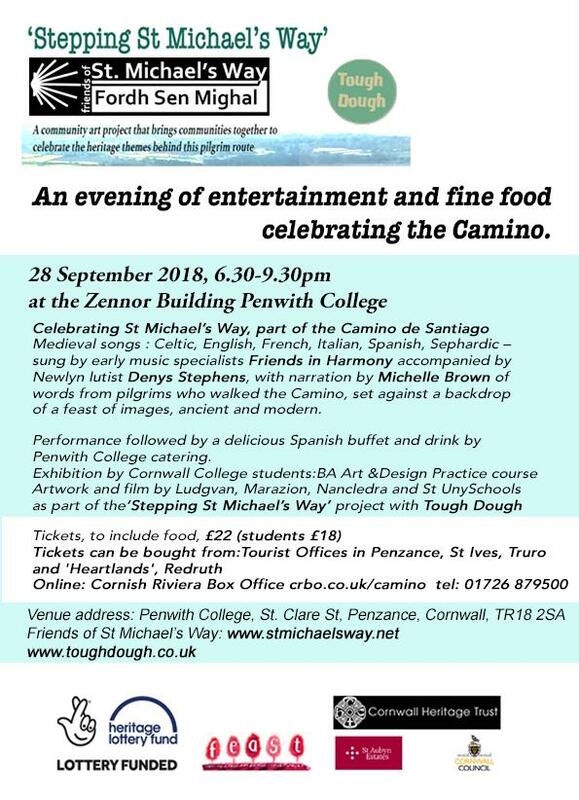 An evening of entertainment and fine food celebrating the Camino.